Following an earlier announcement, this season the Effenbert Liberty Racing Team has decided to take up a new challenge and put their money on young talented riders. The team has been very active on the market looking out for new opportunities and the signing of a 22-year-old Frenchman Maxime Berger, riding in the Superbike Championship, and a 20-year-old Canadian Brett McCormick soon followed. In the course of the latest events, a brand new opportunity arose that the team couldn’t help but consider. The management of the team had an offer on their table to complete the Superstock 1000 FIM Cup line-up with a 2nd rider, yet another promising young contestant. 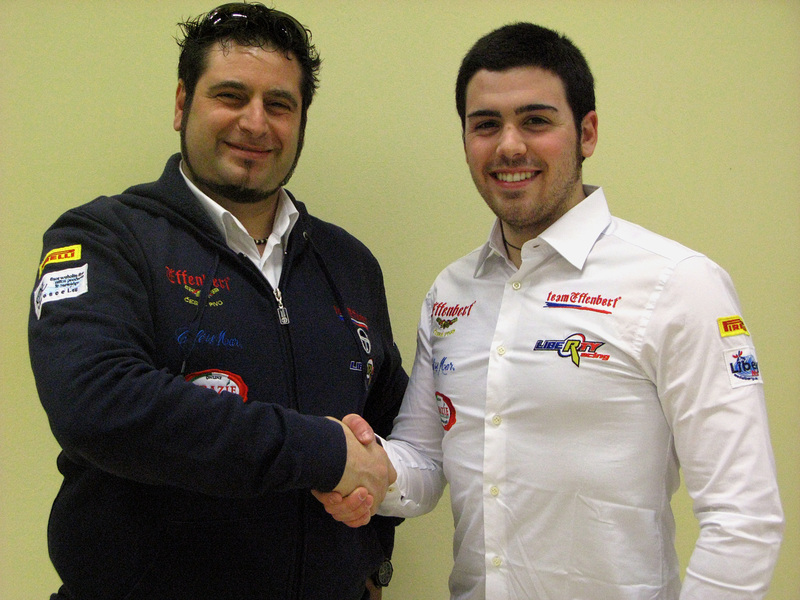 Finally, the team owner Dr. Mario Bertuccio and the Superstock Team Manager Natale Egi put under contract a 22-year-old Italian Federico Sandi, who is eager to show his potential on the new 1199 Ducati Panigale that he is now going to have at his disposal. He will be given the opportunity to step up with a new bike that, as advised towards the end of last season, will replace, even in the Superbike Championship, the glorious Ducati 1198. Sandi spent a season riding in the Italian CIV championship with Althea Ducati Team, where he finished third overall and won a race in Vallelunga. He also has an experience from participation in the World SBK Championship in Superstock FIM Cup in 2009 on an Aprilia and has taken up the challenge to race as a wild card rider on several occasions in Superbike Championship in 2010 and 2011. Last, but not the least, the eager youngster has raced in 125cc and 250cc classes in Moto GP world championship from 2005 until 2008. Natale Egi, Manager of the Superstock project of the Effenbert Team, who has over twenty years’ experience in racing, is looking forward to kicking off this new adventure focused on growing the potential of new talents. “I’m really happy about the agreement we signed with Federico. I can see his motivation. In a few days, he will leave to Australia with us, where both him and Brett McCormick will have the opportunity to test the new bike during the private test at Phillip Island on 13th to 15th February “ .